The Z Beat: I've been using you. And, I hope you've been using me, too. Allow me to explain. I shared a little bit about how important social media and online communities are in my post about weight loss from a few weeks ago. This is becoming more and more true for me for a few reasons. 1) Tried DietBet: Haven't heard of it? The premise is simple: you buy in to a DietBet game for around $25 - $35, and you have 4 weeks to lose 4% of your weight. If you meet your weight goal, you win a share of the pot (after DietBet takes its 25%). It seems that 50-60% of people typically meet their goal. So, say there are 400 people participating in a $25 game - that's $7,500 in the pot that could be won. If 200 people make their goal, each person walks away with $37.50. You're not going to get rich playing, but the game provides extra motivation. More importantly, players use site to encourage each other, troubleshoot challenges, and celebrate small wins along the way. I tried my first DietBet in September and loved it. The 4% goal is reasonable and I loved being in it with so many other people cheering each other on. If you're interested in DietBet, let me know and I'll start one - ZIN edition! 2) Joining Instagram: I finally took the plunge! 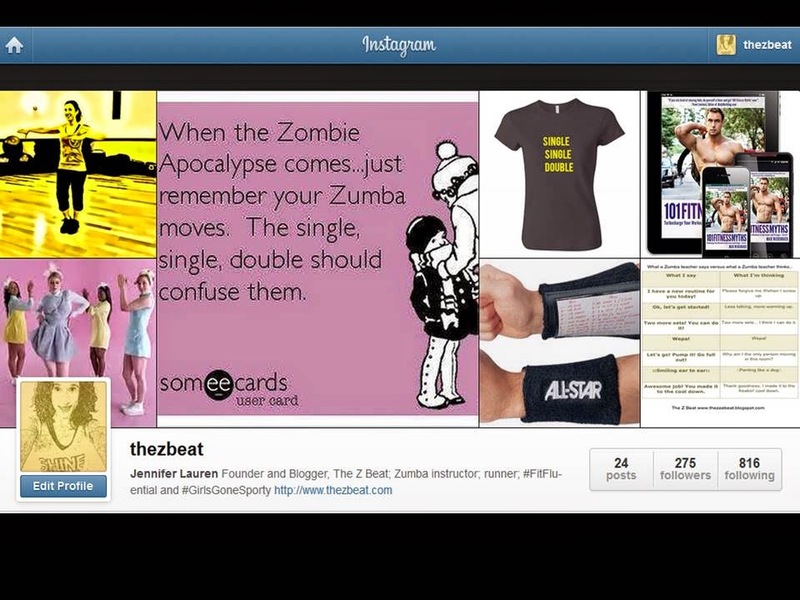 I really enjoy following #fitness, #zumba, and #zumbalove posts. Seeing your sweaty Jam pics, race photos, etc. is totally inspiring and really does make me want to put on my sneakers and get moving. Tony - used Zumba to get healthy and represents for men! Amy - after a polycystic ovarian syndrome diagnosis and a number of setbacks, lost a ton of weight and became a Weight Watchers instructor! Jacqueline - found a passion for Zumba and got licensed at age 67! 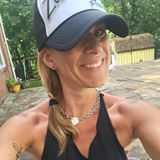 I hope you'll use The Z Beat and the online Zumba community (in Facebook groups like ZIN and Zumbafriends) as a support system for your own health journey. Here's to using each other!